In and around the city of Albany you’ll find natural and manmade wonders to take your breath away. Thirty million years ago, Antarctica and Australia were still joined at the point where Albany’s stunningly rugged coastline now juts out into the Great Southern Ocean. Together the two vast lands formed part of the super-continent called Gondwana. From where my partner and I now stand at “The Gap”, looking out across the jagged cliffs rising majestically from the sea, it looks as though a ginormous granite jigsaw puzzle has been ripped apart by the powerful force of the ocean. We picked the perfect day for a dramatic show. I’m leaning on the guard rail above The Gap, which is now more accessible than ever thanks to a $6m makeover that includes a cantilever platform stretching 10 metres out from the cliff’s edge, soaring 40 metres above sea level. As we stare, transfixed by Mother Nature, the ferocious whitewash far below is being sucked out to sea, leaving a glistening, polished 24-metre chasm momentarily covered in hundreds of waterfalls. Then another set of waves hits the cliffs so hard that the massive eruption of white water obscures the view of the coast before us, the explosion followed by a shower of light rain. Then almost quietly — at least in comparison to the thunderous noise still ringing in our ears — the waves once again retreat into the ocean. As wave after wave seems to beat the height of the one before it, it’s hard to tear your eyes away. Eventually, though, we make room for a busload of people jostling for a front-row view and stroll through the spectacular granite rock formations of Torndirrup National Park — they’re artfully draped in green, purple and orange lichen and low-lying scrub. It’s a photographer’s paradise. As we drive into the heart of Albany a rainbow appears, arching elegantly over the city — this part of the world is known as the Rainbow Coast because they’re a regular occurrence. We drive on half an hour to Maitraya Private Retreat — one of the most beautiful, grand, secluded, privately owned properties in Australia — to meet its proud owner, Rick Fenny, the Desert Vet (see page 33 for our story on his life and work). The property sits on 650 acres and has its own extremely private beaches, where it’s been rumoured Lady Gaga felt so relaxed that she wandered along the sand naked. The homestead has eight suites, 11 bathrooms, a 20-seat movie theatre, a heli-pad and private airstrip, an indoor heated pool complete with a spa bath enclosure painted by John Olsen, and a beautiful, enormous indoor garden/conservatory entertaining area. The property also has a fishing lodge perched on a hillside with spectacular 360-degree views over Taylor Inlet and the Southern Ocean. It has five bedrooms, and you’d be hard-pressed to find a better place for a fishing or birdwatching holiday, or just a relaxing getaway for family and friends. A short stroll across the paddocks, next to the airstrip, you’ll find the quaint Aviator’s Cottage. It sleeps four but is also ideal for a couple’s romantic getaway. 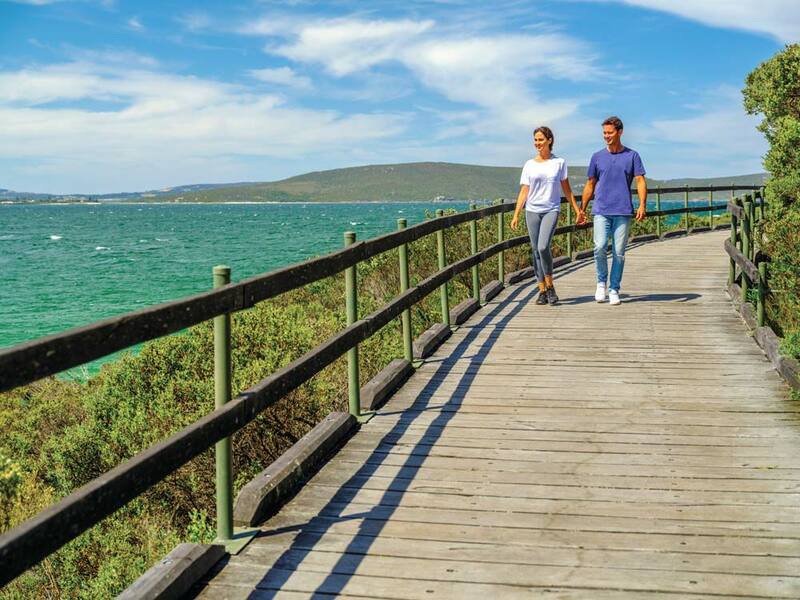 At Maitraya we spend our days walking along the beaches, bushwalking, going for a fish in the dam and on the coast, and absorbing the beauty and tranquillity of place that sums up the natural wonders of this incredibly special part of WA. Albany is as rich in history as it is with adventure, and there are two places anyone curious about the past should visit to gain an understanding of how this Western Australian outpost developed into the cultural hub it is today. We spend a few hours at the National Anzac Centre — established to honour the men and women who sacrificed their lives in World War I. You could spend an entire day here, and many do. The architecturally designed centre offers a dramatic, telescopic view overlooking the location from where, in late 1914, 41,000 troops on more than 50 ships departed to serve in the Great War. Many thousands of them did not return. 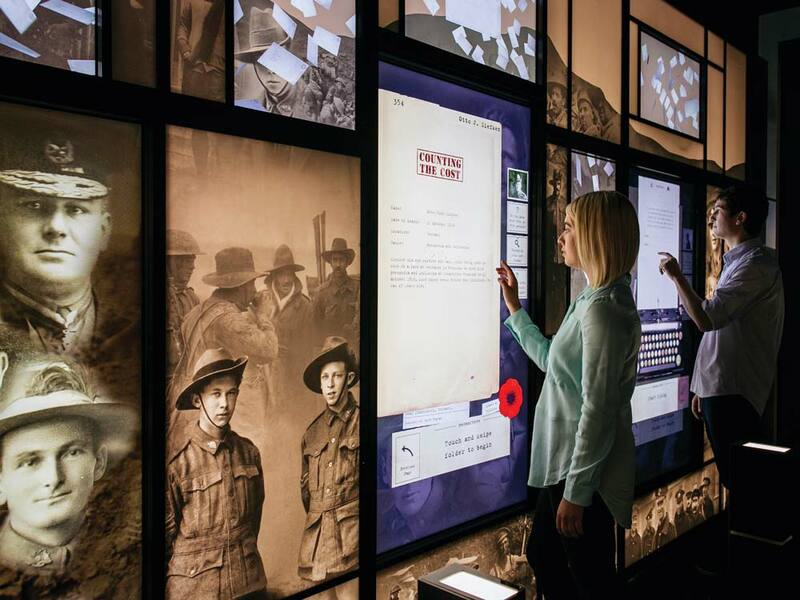 The $10.6m award-winning facility uses multimedia, interactive technology and historical artefacts to create an incredibly personal connection with the past. We’re given a card with a man’s photo and name on it — a real person who went to war from this spot. We then move through the centre, placing the card on posts equipped with readers that give you details of what your man went through, taking you through his entire experience until the end of the war, where you find out if he came home or died overseas. It’s a harrowing, humbling, moving experience, and we made sure we had tissues on hand. 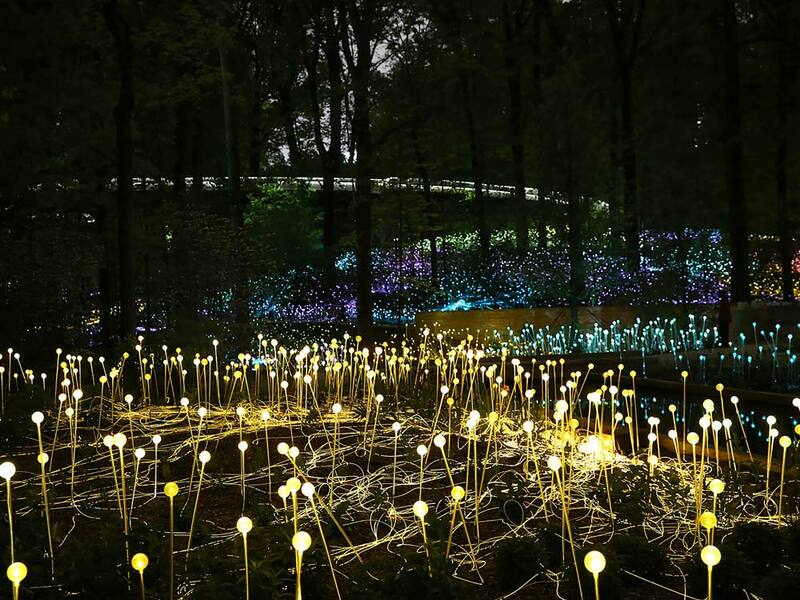 From October 2018 until April 2019, visitors will be able to enjoy an immersive art installation by Bruce Munro gently illuminating the Avenue of Honour at Mount Clarence in homage to the Anzacs. On a brighter note, due to this region being one of the main thoroughfares for the annual migration of humpback and southern right whales and the rare blue whale, from June until October the whale watching is some of the best in Australia , and today there’s no shortage of whales to marvel at. We can’t visit the Great Southern wine region without sampling some produce, so we take a 40-minute drive through the countryside to the quaint town of Mount Barker, where iconic Plantagenet Wines is based. In 1968 Englishman Tony Smith bought a small farm in the area called Bouverie. He planted Shiraz and Cabernet Sauvignon grapes, and six years later those grapes were picked and turned into internationally acclaimed wines. In 1999 the winery was bought by Western Australia’s oldest family business, Lionel Samson & Son, which was a marriage made in heaven as the family business specialised in industrial packaging and flexi-tanks for moving liquid in containers. Perfect. The company also ran a wine and beer wholesale distribution business, and even more conveniently for wine distribution, an international and national transport/freight company. Today you can visit the beautiful cellar door with its huge heavy wooden doors, befitting of a regally stamped winery (the three dragons of the House of Plantagenet royal family adorn the label) and enjoy a delicious light meal or wine. tasting. Or, do as we did and combine the experiences by ordering a flight of wines with a platter for two. You might have heard of Limeburners whisky as it’s made quite a splash on the spirits scene since its “Darkest Winter” was crowned 2018 Southern Hemisphere Whisky of the Year by one of the most famous whisky critics in the world — Jim Murray — in his self-named Jim Murray’s Whisky Bible. If you’re a whisky lover you’ll know that the main issue an enthusiastic taster faces when they decide to try a few of the top drops is that you can only have one shot all up and still drive! Owner and founder of Limeburners, Cameron Syme, has addressed this conundrum by opening an impressively large whisky distillery in the Porongurups (the oldest mountain range in the world) with simple accommodation. The distillery, located 30 minutes out of Albany, is a former winery nestled into open paddocks with the famous mountain range creating a magnificent backdrop. The immaculately presented donga-style cabins surround a fire pit, perfect for an evening in the forest, sipping on the fine stuff. Meanwhile in town Cameron and his team have created a distillery and tasting bar where their gins and Tiger Snake bourbon can also be sampled and purchased. It has one of the best views in Albany, sitting as it does on Frenchman Bay Road overlooking the Princess Royal Harbour. That remarkable harbour is the heart of Albany really – history was created on it, and today the natural and manmade wonders that surround it have led to this special city and area being rightfully dubbed: Amazing Albany. With direct flights from Perth to Albany this wonderfully wild and stunning part of Australia is now so accessible. Simply hire a car on arrival and the region is your oyster! Housing values in mining towns have been on a precarious rise and fall trajectory in recent years after the commodities boom bottomed out. Now, the upward cycle has begun.